Some of the most successful professional poker players in the world try their best to normalize their occupation. They create routines, plan in advance, and hire assistants. But there is still one stark difference between grinders and businessmen. When your average nine-to-fivers head to work in the morning, they carry a bag or briefcase with their laptop or tablet. Some tote neither, because their employers supply desktops at the office. 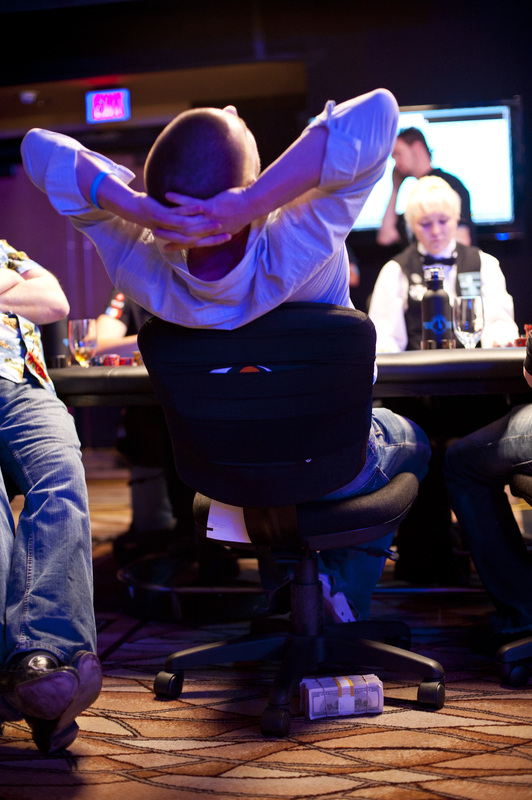 When your average poker players head to work at whatever time they deem optimal, they carry cash. Sometimes it’s a lot of cash, and usually it’s all $100 bills. That’s the nature of the beast. Poker is a game played with money. Some home games operate on credit or loaning, which can be really messy, but at the lower stakes most players must have cash on hand to play. 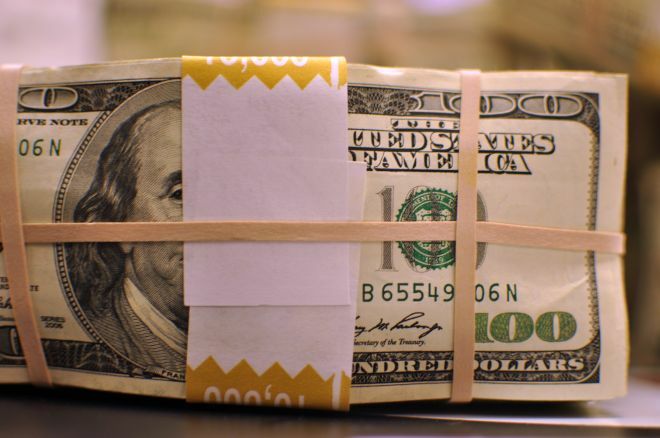 The really big players can wire money to a casino for a big cash game, high roller, or super high roller, but for the vast majority of us who just want to walk into a card room and play a daily tournament or a low-stakes ring game, the price of admission is paper currency. We aren’t too far removed from the road gambling days of Texas cowboys like Doyle Brunson, where two aces weren’t the only bullets that could be tabled in any given session, but the poker world is much safer in 2013. Casino technology and security has increased tenfold, and even in home games across the country you will find surveillance cameras protecting the property. Unfortunately, there are still dangers in carrying a lot of money no matter where you are in the world, and protecting yourself is paramount. Even when you’re not carrying cash, you can still be vulnerable to an attack. At EPT Barcelona earlier this year, Jens Kyllönen and other high-stakes professionals were the victims of “sharking” attacks. Unknown assailants broke into the Finnish pro’s room and installed a Trojan into his laptop using a USB stick. The plan was to access Kyllönen’s hole cards when he played in a high-stakes online poker game, but the Finn became suspicious when his laptop went missing twice. When he returned home, he had the device inspected and a computer security company confirmed that someone tried sharking him. While these strikes are at times unavoidable, there are still several steps you can take to protect yourself. Travel in groups, especially in foreign countries and home games. Walking alone with a large amount of cash isn’t smart, even outside of the poker world. Be aware of your surroundings. If you just bagged chips in a tournament and it’s after 2 a.m., then maybe grabbing a cab isn’t a bad idea. Don’t flaunt your wealth. You can still wear nice things, but don’t make it rain in the middle of the casino. You could be making yourself a target. Keep an eye on your things. Casinos will protect themselves with the almighty eye in the sky, so safeguard yourself with your own two. The backpack epidemic in poker makes me somewhat queasy. Don’t leave money lying around. This seems obvious to everyone but Gus Hansen. Use the safe. If you’re not carrying your valuable items, then at least try and protect them the best you can. The days of pulling out pistols as a method of check-raising are past us, but crime will always be a part of society. If you’re careful with your valuables then you can spend more time focusing on your opponents on the felt, and less time worrying about the potential of theft or robbery.